After decades of research and development, the WSR-88D (NEXRAD) network in the United States was upgraded with dual-polarization capability, providing polarimetric radar data (PRD) that have the potential to improve weather observations, quantification, forecasting, and warnings. The weather radar networks in China and other countries are also being upgraded with dual-polarization capability. Now, with radar polarimetry technology having matured, and PRD available both nationally and globally, it is important to understand the current status and future challenges and opportunities. The potential impact of PRD has been limited by their oftentimes subjective and empirical use. More importantly, the community has not begun to regularly derive from PRD the state parameters, such as water mixing ratios and number concentrations, used in numerical weather prediction (NWP) models. In this review, we summarize the current status of weather radar polarimetry, discuss the issues and limitations of PRD usage, and explore potential approaches to more efficiently use PRD for quantitative precipitation estimation and forecasting based on statistical retrieval with physical constraints where prior information is used and observation error is included. This approach aligns the observation-based retrievals favored by the radar meteorology community with the model-based analysis of the NWP community. We also examine the challenges and opportunities of polarimetric phased array radar research and development for future weather observation. • The current status/limitations and future challenges/opportunities of weather radar polarimetry are reviewed. • The gaps between the radar meteorology/hydrology/engineering and NWP communities are revealed, and possible approaches to bridge them discussed. • New methods and technologies that advance weather radar polarimetry to meet future needs are explored. 经过数十年的研究和发展, 天气雷达偏振技术日渐成熟, 美国新一代天气雷达(WSR-88D)已全面升级成双偏振雷达, 并提供具有改进天气观测, 量化, 预报, 和预警潜能的偏振雷达数据(PRD). 中国和其他国家的天气雷达网也正在被升级成具有双偏振功能. 现在, 雷达偏振技术已经成熟, 偏振雷达数据可在全美和全世界范围获取, 有必要理解其研发现状和未来的挑战及机遇. 偏振雷达数据潜在作用常受到主观和经验应用的限制. 更重要的是我们还没有常规的, 由偏振数据导出数值预报模式(NWP)中的状态参数. 在这篇综述中, 我们总结天气雷达技术的现状, 讨论偏振数据应用的问题和局限, 探讨在定量降水估计和预报中更有效地应用雷达数据的潜在方法, 也就是基于统计反演加物理限定, 并将先验信息和观测误差考虑在内的优化方法. 这种方法将雷达气象学领域中常用的观测反演和数值天气预报中的模式分析统一起来. 我们也将讨论用于未来天气观测的偏振相控阵雷达研发的挑战和机遇. The research was supported by the NOAA (Grant Nos. NA16AOR4320115 and NA11OAR4320072) and NSF (Grant No. AGS-1341878). The authors would like to thank the engineers at the NSSL and OU/ARRC for their support of the CPPAR development. 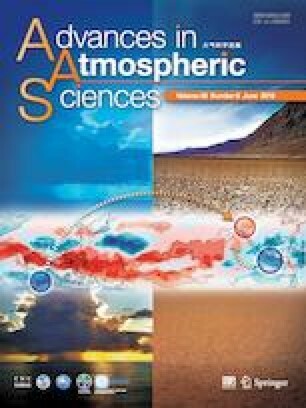 Van Den Broeke, M. S., and S. T. Jauernic, 2014: Spatial and temporal characteristics of polarimetric tornadic debris signatures Journal of Applied Meteorology and Climatology, 53, 2217–2231, https://doi.org/10.1175/JAMC-D-14-0094.1. Zhang, G. F., R. J. Doviak, D. S. Zrnić, R. Palmer, L. Lei, and Y. Al-Rashid, 2011: Polarimetric phased-array radar for weather measurement: A planar or cylindrical configuration? J. Atmos. Oceanic Technol., 28, 63–73, https://doi.org/10.1175/2010JTECHA1470.1.